Kenneth R. Speed, 87, of Carlisle, passed away on Thursday, July 19, 2018 at Cumberland Crossings. He was born in Carlisle on November 14, 1930 to the late George and Esther (Noggle) Speed. He graduated from Carlisle High School in 1948. After high school Ken joined the U S Navy, proudly serving for four years from 1948-1952. He was a veteran of the Korean War and spent two years in Japan. After serving our country, he attended and graduated from Dickinson College. He taught for one year in New Jersey before returning home to begin teaching at Boiling Springs, where he taught Social Studies and English. At Boiling Springs he took on several roles and many activities including coaching cross country from 1969-1987. 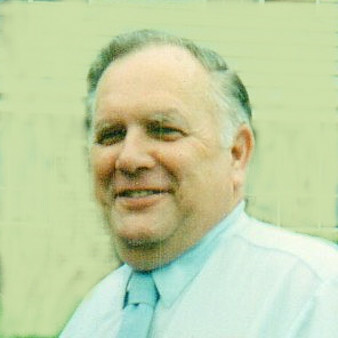 He retired in 1995 after 38 years of teaching. In May 2018 he was honored by The Bubbler Foundation with The Wall of Acclaim of Award. Ken was a member of St. Patrick Catholic Church, the Elks, the VFW Post 477, the Bubbler Foundation and was a charter member of the Boiling Springs Jaycees. He is survived by his sister: Lois Thumma; nephew Clifford (wife Kathy) Thumma, cousins Barbara, Beth and John George. In addition he is also survived by his lifelong and best friends: Pat and Margie DeVenney. Ken loved to play golf, read (expecially Civil War), travel and playing games. He will be remembered for his kindness, generosity, ability to bring joy to others, his sense sof humor and endless knowledge. Mass of Christian Burial will be celebrated on Saturday, July 28, 2018 at 12:00 P. M. at St. Patrick Roman Catholic Church, 85 Marsh Drive, Carlisle with Fr. Martin O. Moran as Celebrant. Burial will follow in LeTort Cemetery. There will be no viewing or visitation. In lieu of flowers memorial contributions may be made to The Bubbler Foundation, 4 Forge Road, Boiling Springs PA 17007 or the Save the Lake Fund, P O Box 39, Boiling Springs, PA 17007. Ronan Funeral Home is handling arrangements.